Customized contact me sticker sheets- vinyl planner stickers- perfcet for planner meet ups! USA - $5 USPS first class mail with tracking. Orders will be dropped off on Mondays and Fridays and ship from Montana on Tuesdays and Saturdays. International -$2.50 for the first sheet + $0.10 for each additional sheet- letter mail- no tracking (no change). 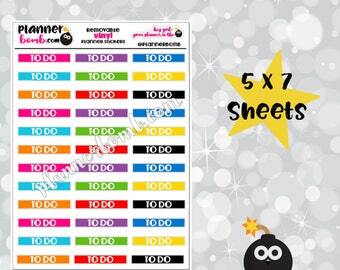 Go Wild PICK UP- Customized contact me sticker sheets- vinyl planner stickers !! I love these contact cards to much this is my second order from your shop! I'll be back again for the next planner event. Thank you for such great quality! LOVE this kit! Colours are amazing and critters are the BEST!!! Look at all the stickers!! Did you know that PlannerBomb.com is a ready to ship shop? Stock is ready and all Go Wild orders are shipping same day or next day !!! Brand new!!! 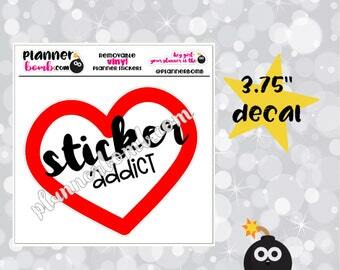 Sticker addict decal! 3.70". Removable vinyl. Suitable for use indoors/outdoors. The rest of the listings are being added to the shop as I make them!!! Hello and welcome to my shop PlannerBomb.com. I started my shop in January 2015 and never imagined I'd still be doing what I love today. I specialize in planner and calendar stickers. I also sell decals, bumper stickers and even binder covers. My stickers are printed on a high quality removable vinyl. 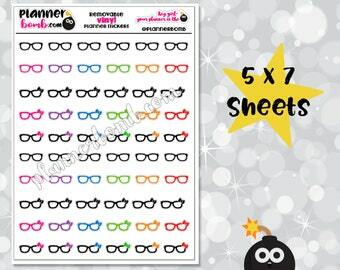 My stickers sheets are 5x7" giving you lots of stickers per sheet. You will need a sharpie or other permanent marker to write on them though. 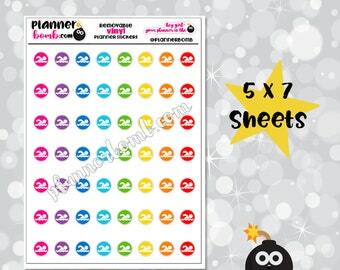 The stickers will fit a variety of planner types, there is surely something for everyone. One of the best things about my shop is that I am a ready to ship shop! That means the majority of orders are out in 1-3 days. Custom orders take a bit longer. You won't be waiting long at all for your stickers. I am a Canadian Etsy shop. However, I do ship USPS for USA orders. USA orders - $5 - shipped using USPS from Montana. Orders are dropped off on Mondays and Fridays and ship on Tuesdays/Saturdays. Tracking included. For more information or to see new releases please check out Plannerbomb.com on Facebook (https://www.facebook.com/groups/4157862019132360 or Instagram (@plannerbomb). If there is a problem with your order please message me and we can work towards a solution. Items are mailed in a clear plastic sleeve in a custom rainbow envelope. The vinyl sheets themselves are quite sturdy. Items that do not require additional customization will be sent out within 1-3 business days. Once shipped, I cannot be held responsible for items lost in the mail. Lost mail is VERY rare. Please be patient as there may be unexpected delays that are out of my control. Please contact me if you have any questions.